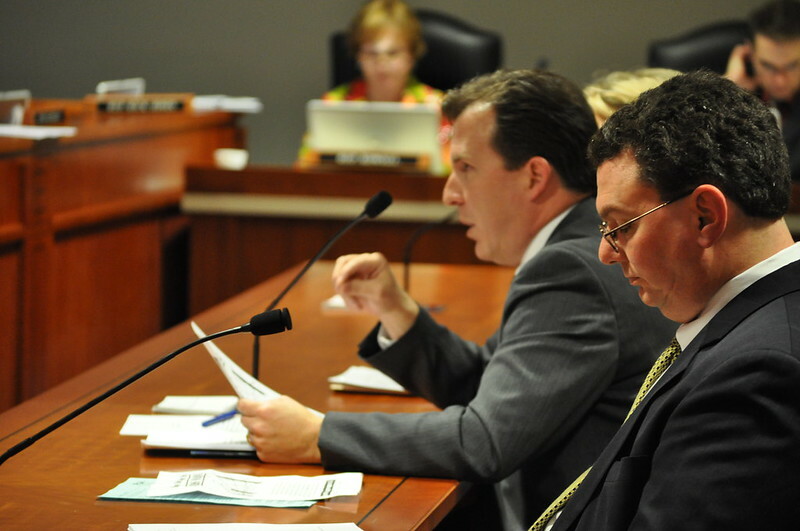 The Michigan Municipal League testified Wednesday, May 12, 2010, before the Michigan State House Judiciary Committee in support of bills that would allow communities to post legal notices online instead of in newspapers. This measure would allow for greater transparency in government because more people would be able to view the legal notices and it would save Michigan communities millions of dollars each year. Although no vote was taken during the hearing, the committee seemed receptive to the bills and the arguments made by the Michigan Municipal League’s Samantha Jones Harkins and Ann Arbor City Clerk Jacqueline Beaudry. The package of bills were a bipartisan effort supported by Rep. Douglas Geiss, D-Taylor, Rep. Joseph Haveman, R-Holland, Rep. Pete Lund, R-Shelby Township, Rep. Sharon Tyler, R-Niles, Rep. Richard Hammel, D-Mt. Morris Township, and numerous other lawmakers. Also speaking in support of the bills were Detroit City Clerk Janice Winfrey and Delhi Township Clerk Evan Hope. Attending the meeting in support of the bills included officials with the Michigan Association of Municipal Clerks, the Michigan Townships Association, the Michigan Association of Counties and many other groups. For more information go to www.mml.org or view our blog at www.mml.org/advocacy/inside208. Image published by Michigan Municipal League (MML) on 2010-05-12 19:55:47 and used under Creative Commons license.